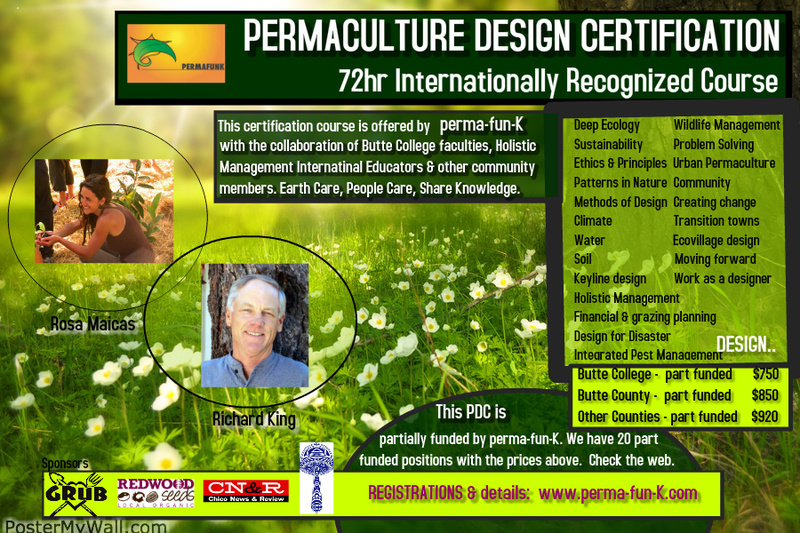 This Certification Course is offered by perma-fun-K in collaboration with Butte College faculty, Holistic Management International Educators & other very valuable members of our Chico community. 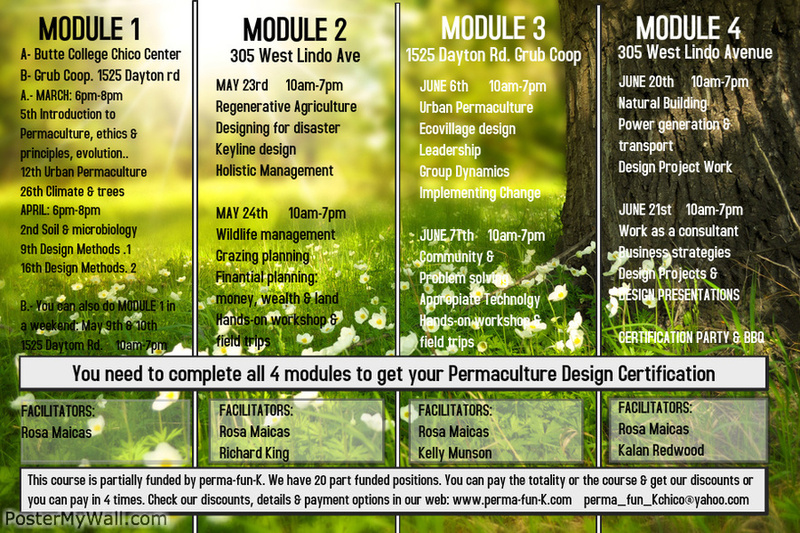 To get your certification you need to attend all 4 modules. Here are the dates. A- You can come to our 6 classes at the Butte College Chico Center ( through March & April ). Butte College Members ( students, faculties, staff ) get this module FREE if they take option 1 and come to all the classes. B- You can do module 1 in just one weekend if you live outside town and its easier for you. Butte College Sustainability Resource Center funded us to do 6 permaculture classes at the Chico Center and perma-fun-K is linking those classes to our PDC in this way: those Butte College members who have assisted to all 6 classes offered at the Butte College Chico Center get MODULE 1 of this PDC for FREE. 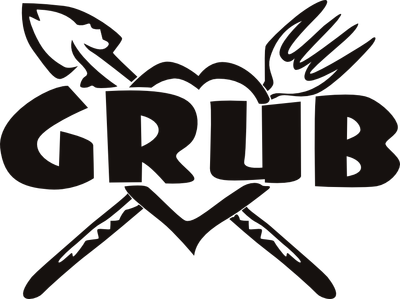 The normal price for this Certification Course ranges from $1200 / $1500 but we are offering it through 4 modules and mainly to locals, so we don't need to charge for accommodation or food, making the price be lower & more accessible to all. 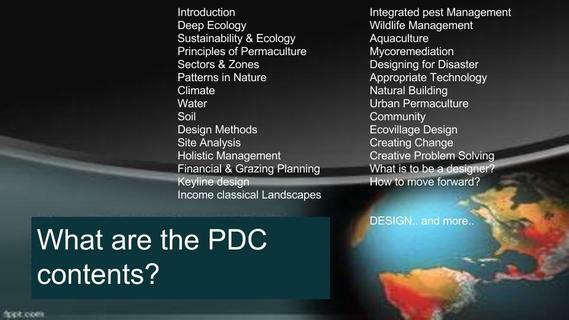 We, PERMA-FUN-K are funding this course, so it can be accessed by all groups of this community & we emphasize funding Butte College Members, as it allows us to teach faculties, staff and students all at once, bringing the Permaculture curriculum & solutions, to all the parts already working in existing education institutions.